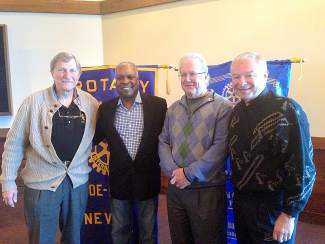 From left, Club President Bruce McNulty welcomed Booker T. Jones as guest speaker at a recent meeting of the Rotary Club of Tahoe-Incline, along with Club members Jim OâBrien and Mike Chamberlain. 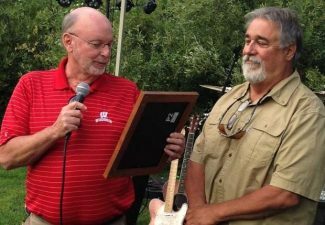 Booker T. Jones recently spoke at the breakfast meeting of the Rotary Club of Tahoe-Incline regarding his development as a musician. 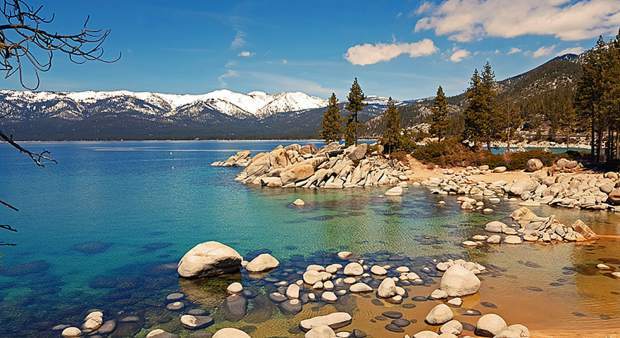 The Rotary Club of Tahoe-Incline meets every Thursday at 7 a.m. at the Hyatt Regency Lake Tahoe. 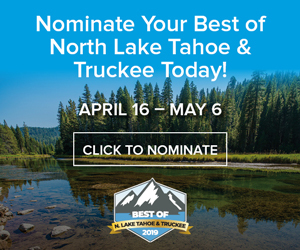 Learn more at http://www.tahoeinclinerotary.org.